* 5 min drive from Sydney CBD. * 5 min drive from Sydney Airport. 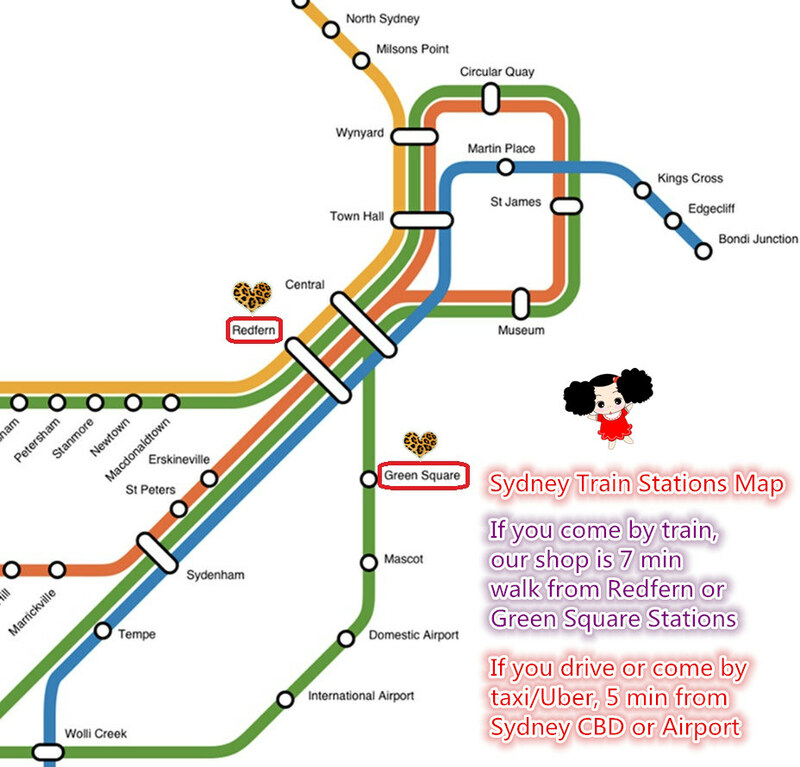 * 7 min walk from Redfern Station. 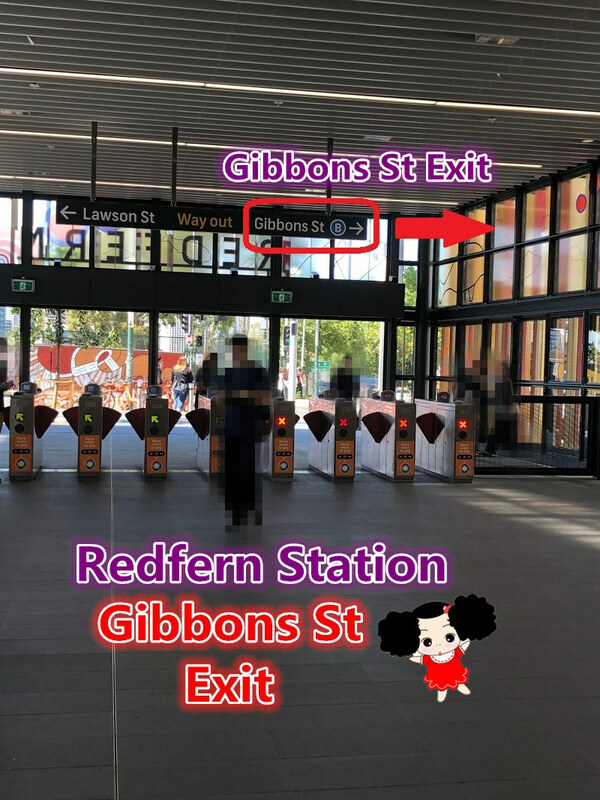 After come out from the Redfern Station Gibbons St Exit, straight away cross the road. 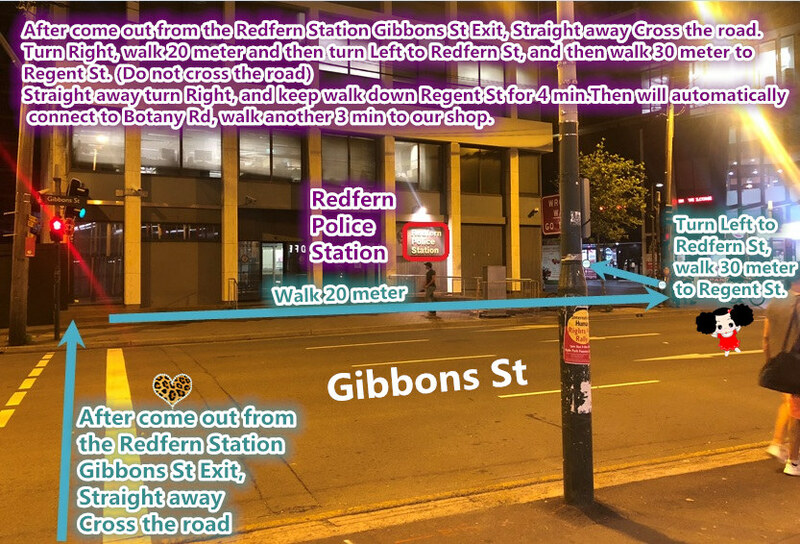 Turn Right, walk 20 meter and then turn Left to Redfern St, and then walk 30 meter to Regent St. (Do not cross the road). Straight away turn Right, and keep walk down Regent St for 4 min. 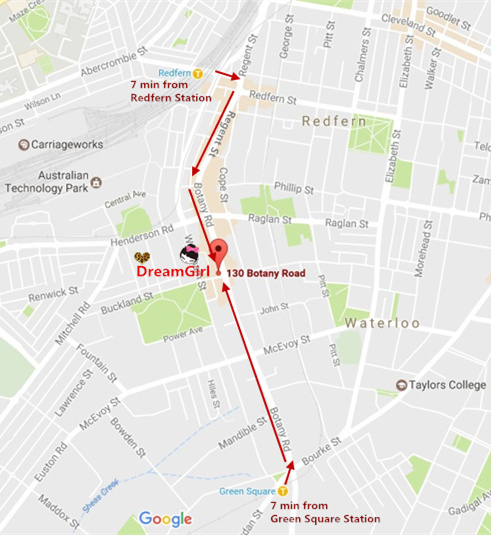 Then will automatically connect to Botany Rd, walk another 3 min to our shop. See the direction map below. * 7 min walk from Green Square Station. There are very clear signs in Green Square Station to lead you to Botany Rd. * If you drive, it's easy to find free parking on the street nearby. 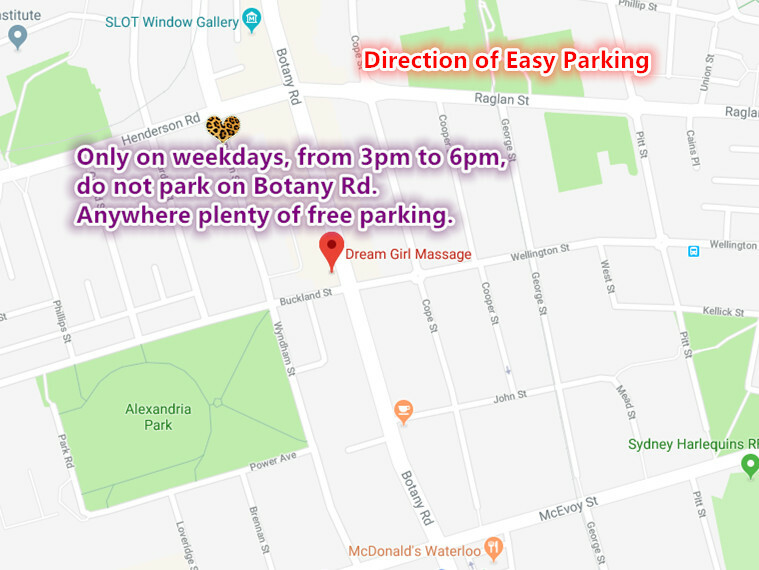 Only on weekdays, from 3pm to 6pm, do not park on Botany Rd. Anywhere plenty of free parking.